Join the mailing list on the homepage to be a part of the next one. Watch the trailer for Lev Fer 20 here. 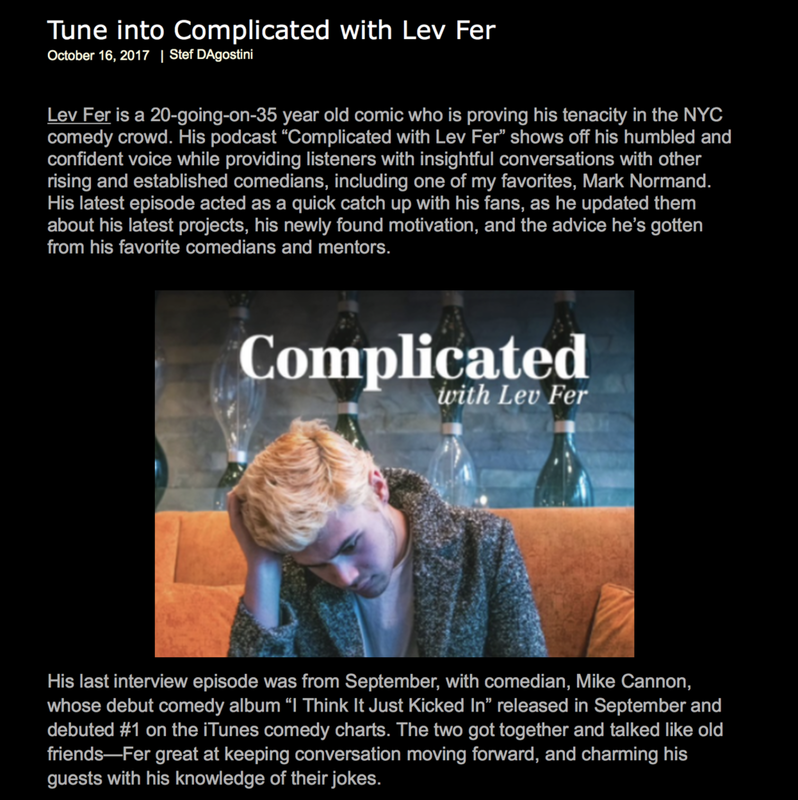 "Tune Into Complicated with Lev Fer"
"He likes to show up unannounced, just to see if they’re working on his car, and as soon as we got there, Ocean jumped out and headed to the back of the shop. The car was indeed up on a lift, and as he circled it, he began to tick off things that he didn’t like. He’s 25, but he speaks like somebody who expects to be listened to." - Jeff Himmelman, New York Times Interview with Frank Ocean. I made an episode guide on the podcast page. For you.